NEW YORK (CNS) — Superhero fans who rent or buy “Batman Ninja” (Warner Home Entertainment), the latest direct-to-video effort from DC Comics, should brace themselves. Chances are, it’ll turn out to be unlike any movie of the genre they’ve ever seen. This thrilling, eye-popping and at times confusing animated film starts off with a bang, ratchets up quickly to over-the-top, and then goes completely bonkers. 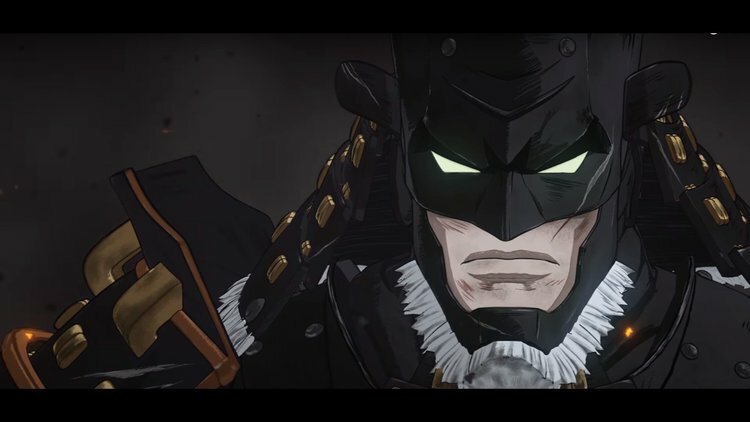 “Batman Ninja” showcases mostly stylized combat violence featuring cannon fire, swords, spears, explosions — and, of course, bats. There is also the occasional lapse into mildly profane or vulgar language. While certainly not suitable for children, it may be acceptable for older teens. In the two-year interval between their arrival in the Land of the Rising Sun and Batman’s, the bad guys — the Penguin (voice of Tom Kenny), Two-Face (voice of Eric Bauza), Deathstroke (Tatasciore), Poison Ivy (voice of Tara Strong) and the Joker (voice of Tony Hale) — have managed to displace the native warlords and are now skirmishing for power themselves. Its shaky premise in place, the rest of “Batman Ninja” is one kinetic and surreal action sequence after another. Two-Face attacks by ship, Batman and his Japanese allies rig up gliders to air-bomb the Joker’s castle — and thousands of monkeys join the battle. Batman gets help from a host of ninjas led by Eian (voice of Matthew Yang King) of the Bat Clan of Hida. The Hida believe the Caped Crusader’s advent to be the fulfillment of a prophecy about a foreign bat ninja whose arrival will restore order to the land. Also pitching in are Batman regulars Nightwing (voice of Adam Croasdell), Red Hood and Robin (both voiced by Yuri Lowenthal). This array of characters — nice as well as naughty — leaves viewers to wonder if a single person in Gotham was able to escape Grodd’s Quake Engine. Directed by Junpei Mizusaki, “Batman Ninja” is luxuriously detailed with traditional Japanese art, including one scene done in the bold lines of the ukiyo-e style and another in elegant watercolor. There are paper lanterns, Shogun armor and Asian architecture to admire. The result is not a Batman movie with Japanese influences, but a Japanese movie inspired by Batman. The film contains intense battle sequences and a few mild oaths and crass expressions. The Catholic News Service classification is A-III — adults. The Motion Picture Association of America rating is PG-13 — parents strongly cautioned. Some material may be inappropriate for children under 13. Judge is a guest reviewer for Catholic News Service.